Notes initially built for the Austrian army the Sd.Kfz 254 was originally known as the RR-7. It could run on tracks or wheels depending on the terrain. The Austrians used these vehicles as artillery tractors. Only twelve were built in 1938, until the German army place an order for more and another 128 were built. In German service the vehicle was used as an observation post and issued to armoured artillery units. 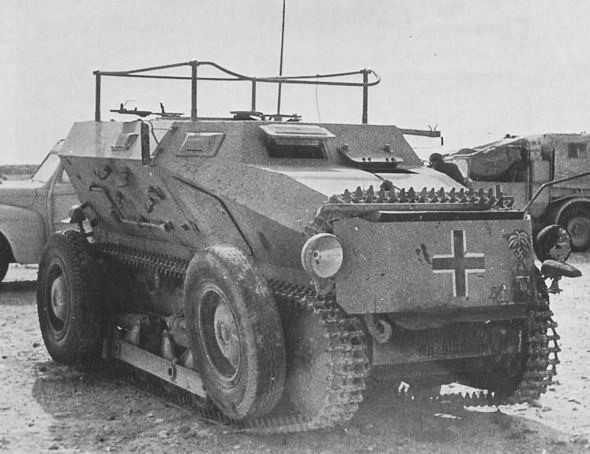 The Sd.Kfz 254 saw action in the Balkans, Western Desert and Russia.